In the early Victorian days, the use of mineral water became very popular and manly mineral baths were established. The Romans, too were well aware of the relaxing nature of these baths and often built cities and large towns. Throughout the world, natural mineral springs flow, making a very concentrated mixture of the earths vital elements available. Bathing in these waters should be done with great care as their penetrating qualities can affect the internal balance of the body. Their detoxifying properties are excellent as they promote the opening of the skins pores, thereby allowing toxins to be flushed out. The ocean stands apart from other waters because of its salt content. The Dead Sea is so heavy with salt that you can only float in it. Many people who have muscular or rheumatic symptoms bathe in salt water as it draws out impurities and reduces pain. All salt water has the effect of cleansing through the skin, particularly due to the natural process of osmosis. Osmosis pressure is the tendency of any fluid to draw from the least dense to the most dense. Since salt water is too dense to enter the membrane, it attempts to balance itself by drawing towards it the lighter fluid properties from within the body. It can act as an excellent anti-inflammatory, as well as relieving tired muscles and joints. One of the best ways we can experience this at home is by having an Epsom salts bath. The salts are magnesium sulphate, which creates a static electrified filed in the water. When immersed in this water it creates a magnetic balance. Magnesium sulphate also draws out excess sodium, phosphorus, and nitrogenous toxins from the body. Pour 450g of Epsom salts into a warm bath and soak for twenty minutes. Afterwards pat yourself dry and go to bed or relax for an hour. You may sweat during the night, so make sure you drink plenty of water before you head to bed. In the morning, have a bath or shower to remove any salt residues. This form of hydrotherapy helps speed up the process. Another water treatment that you can do at home is a Sitz bath. Spend a few minutes in a warm bath and then have a very cold shower or bath. The change in temperature will stimulate the circulation and encourage the removal of toxins. This can also be done in the shower. Take a warm shower until your skin is warm and glowing. Then tun of the hot water and direct cold water to your face and down your body. This should last about 30secs and then get out of the shower, dry yourself off and keep warm. Again, this helps stimulate the circulation. These encourage perspiration and boost circulation, which aids the removal of toxins. Spend only 5-10minutes at a time in the sauna, and take a cold shower in-between. Always finish with a cold shower. Most of us don’t have the luxury of a home sauna, but the following can give us a similar effect. Run a bath to about 40-43degrees C, this is just above body temperature. Use a thermometer to check the temperature. Lie in the bath for 15-20minutes with your whole body immersed and just your head sticking out of the water. When you have finished, wrap yourself in a warm towel to dry off and go lie down and relax for twenty minutes. 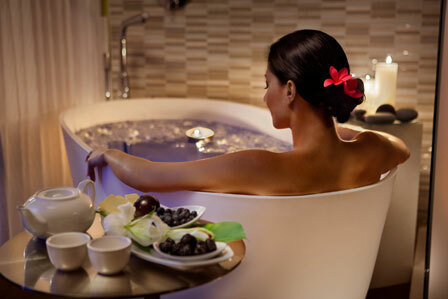 Run a warm bath and add a few drops of your favourite essential oils, or a ready mixed blend of aromatherapy oil. 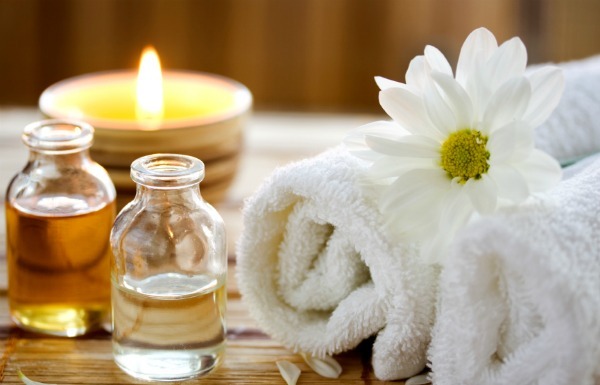 Chose oils you immediately like the smell of to help you relax. Calming oils include camomile, lavender, sandlewood and patchouli. Stimulating oils include rosemary, geranium and rose. Juniper has a particularly detoxifying effect. Warning: If you suffer from any type of heart problem, then you should avoid these baths. If you suffer from eczema or high blood pressure, avoid Epsom Bath. « Morning vs Night – When Should You Workout?